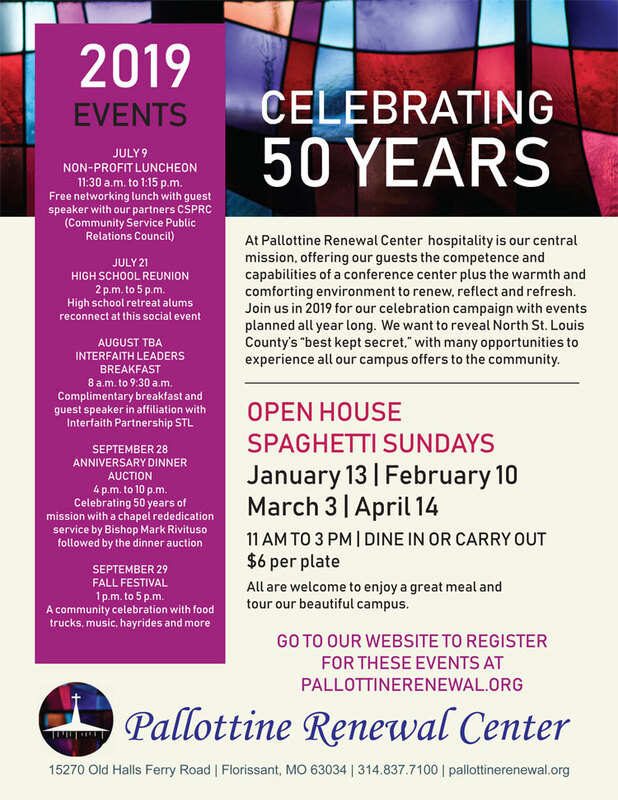 Pallottine Renewal Center invites you to join them for Open House Spaghetti Sundays on January 13, February 10, March 3, and April 14 from 11am-3pm. Dine in or carry out. $6 per plate. All are welcome to enjoy a great meal and tour their beautiful campus.